Excellent post. That really is a terrific image – nice Art Deco. 174 seats for 200,000 people; that’s a profoundly despiriting ratio but good news nevertheless that a new cinema has opened. Cinema can be instrumental in places like Palestine especially for the disaffected youth. UPDATE: Cinema Dunia has been demolished and although talk was to preserve the entryway and use it in it’s replacement, last I saw it was still a parking lot. 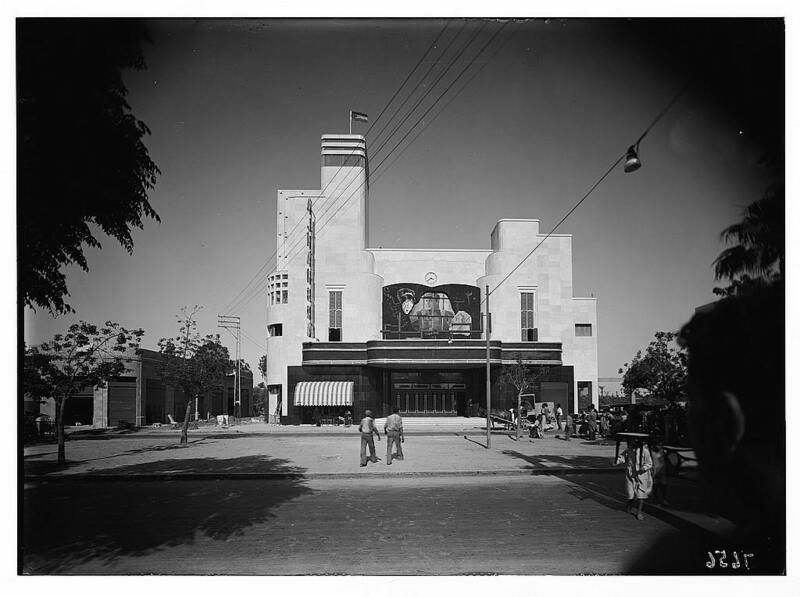 As for Cinema Al-Walid, it was sold a year or so ago and plans are for it to either be demolished or renovated to be made into stores, but not a cinema. Thanks for the info. Last time I checked on-line, Ramallah was still the base for some festival screenings. Presumably these are in some kind of cultural centre rather than a traditional cinema? Yes Ramallah is definitely the center of many festivals and cultural events and there are quite a few venues that are used for that. They include: Ramallah Cultural Palace (the first and only cultural centre of its kind in the Palestinian territories), Khalil Sakakini Cultural Centre, and Al-Kasaba Theatre and Cinematheque (which used to be Cinema Al-Jamil when I was growing up there and the only surviving building of the 3 assuming Cinema Al-Walid gets demolished after all).